Seth MacFarlane has become an industry powerhouse. The man has three animated TV shows on air (Family Guy, American Dad, The Cleveland Show) and essentially carved an entire niche of modern comedy. His brand of irreverent, offensive, tangential humor has turned the man into a demigod among young audiences and helped him rake in millions. A journey to the movies seemed inevitable, and so comes Ted, which MacFarlane directed and co-wrote with two of his Family Guy scribes. The best assessment I can give is that if you enjoy MacFarlane’s brand of humor on TV, you’ll probably enjoy Ted. If not, then you’re in for a prolonged, obnoxious two hours. One day when young John Bennett was a young boy, he wished his teddy bear would come alive so he’d always have a best friend. And as a narrator tells us, nothing is stronger than a young boy’s wish (curious gender is specified and then never touched upon for some kind of joke). The next morning Ted (voiced by Seth MacFarlane) comes alive. Flash forward 30 years and Jon (Mark Wahlberg) works at a rental car company, has a stunning girlfriend in Lori (Mila Kunis), and regularly gets stoned with his best pal, Ted. The two guys are inseparable, which causes friction between John and Lori. After another notorious incident of Ted behaving badly, Lori insists that he move out. John has to start acting more responsible and treating Lori like she deserves, but Ted’s influence usually leads to trouble. Both Ted and John are in desperate need of growing up. 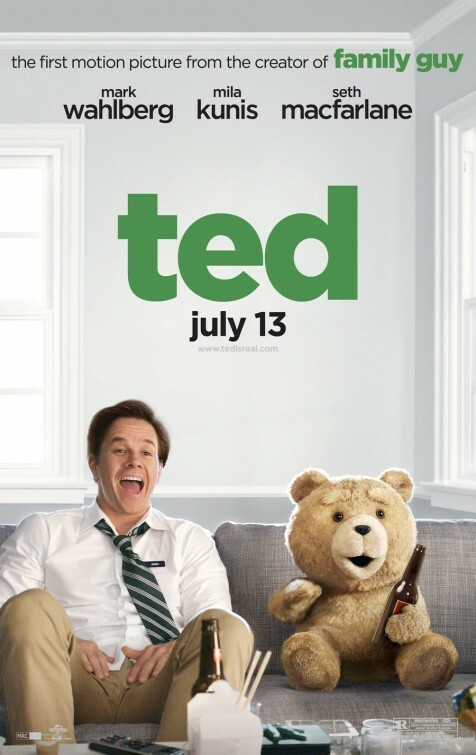 It was no surprise for me that Ted was exactly what I expected from Seth MacFarlane. It’s just a bigger, raunchier version of the style of humor he’s patented on television: tangential non-sequitors, scenes that go on far too long, obscure pop culture references, pointless shock material, and the basic premise that the jokes hinge around some creature merely doing things. Like Brian the Dog, or Roger the alien, Ted is a creature that shouldn’t necessarily exist, and thus so much humor is built around just seeing Ted exist. Is it supposed to be hilarious watching him drive? How about hit on women? Do bong hits? 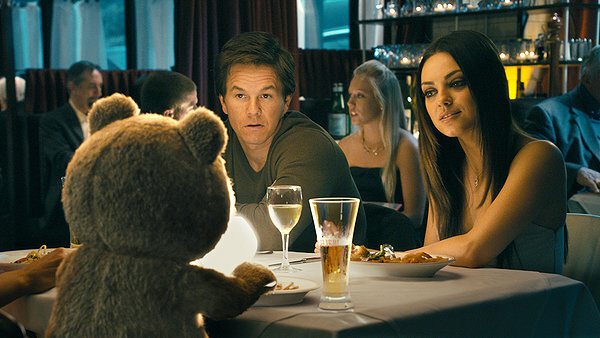 Far too often the only joke the movie seems to offer is that Ted is a teddy bear doing stuff. If you replaced him with, say, a normal human being, would any of those jokes work? Would it be funny watching a normal person drive, hit on women, and do bong hits? Maybe but probably not. It’s all one joke: look at something unnatural doing natural things. And that’s my issue with MacFarlane’s brand of humor. These jokes are not given proper attention, setup, and development. The film rarely subverts your expectations with how every joke will play out, and if you already know the jokes before the movie delivers them then what’s the point? The one joke I did laugh at, and a good guffaw at that, was Ted’s boss who kept responding to Ted’s screw-ups with good words and promotions. That was a surprise. But here’s the thing: once it’s established, you know what will happen the next time. So the second time it’s still funny but not as much. By the third time, his nonplussed reaction is completely expected and thus all traces of funny have been squeezed dry. In comedy, it’s all about surprise, and I find with MacFarlane that he rarely strays from his routine. As far as jokes going on too long, let’s talk about a myriad of subplots that seemed to go on forever. There’s an entire storyline where an obsessed fan played by Giovanni Ribisi (Contraband) kidnaps Ted. This storyline makes up almost the entire third act and occurs after the reconciliation between John and Lori, so the movie already feels like it should be over. And then it keeps going. And it keeps going longer. And then there’s a car chase and a foot race through Fenway Park, which serves no purpose other than to probably fulfill a childhood wish of MacFarlane’s to film on said hallowed grounds. And it’s during this final act where the crass movie tries to become… sentimental? It just doesn’t work. You can’t have 100 minutes of rude, offensive, vulgar humor and then try and then try and go all gooey and soft and make people feel something akin to emotion. The reason that the Judd Apatow films can work with emotion is because from the get-go they make you care about the characters and their relatable conflicts. But there’s a difference between emotion and cheap sentiment, and Ted hasn’t earned genuine emotion. I didn’t like any of these characters. They all seemed like louts and jerks and dolts, none of them charming. Thus the end and its wish-upon-a-star conclusion are cheap sentiment and the kind of conclusion that you believe without a doubt that the characters in Ted would mercilessly mock. Let me specify for the moment that there is a distinct difference between gross-out gags and gags that are just gross. There is also a difference between jokes that are shocking but funny and jokes that are just desperate to offend. In my experience with MacFarlane’s brand of humor, as well as McFarlane’s fratty devotees (if I was rushing a fraternity, I have no doubt Ted would be my favorite movie, bro), that difference is not understood. Watching an over-the-top racist Asian stereotype is merely offensive without proper context to draw out humor beyond the odious and obvious. Just punching a child in the face isn’t funny. Just having someone defecate on the floor isn’t funny, though the panicked removal of said feces was humorous in flashback. I may have chuckled and giggled from time to time with Ted, but most of the time I was just saddened by how desperate McFarlane and his writers were to shock rather than to entertain. Thank God Wahlberg (The Fighter) was in this movie. While Ted is best left in small doses, the boorish best friend archetype, Wahlberg has been sharpening his comedic muscles (the only muscle in need of work it seems) and has become a terrific straight man. Anyone who remembered 2010’s The Other Guys knows that Wahlberg can be flat-out funny when given great madness to play off of. With Ted, Wahlberg’s commitment to the innate absurdity of the movie goes a long way. His breathless rendition of an exhaustive list of white trash girl names had me laughing harder than anything else in the movie, and I admit I was also impressed by Wahlberg’s speedy delivery. The character of John is a pretty standard role at this point in American comedy, one of arrested development. However, it seems to take so long, blown chance after blown chance, for John to finally find some sense of responsibility. Just like everyone else, he is at the mercy of Ted’s corrosive influence. 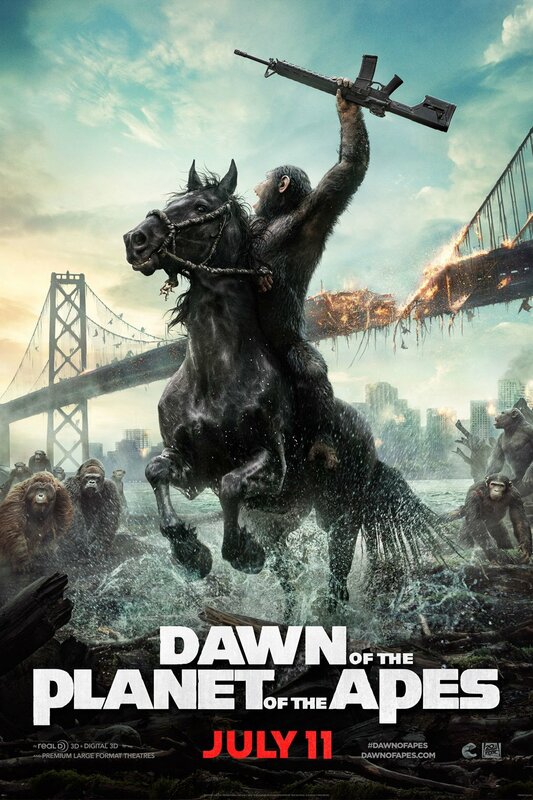 I probably wasn’t the ideal specimen for MacFarlane’s first foray into movies. I’ve never been more than a mild fan of his TV work and its hit-or-miss-but-mostly-miss brand of tangential humor, though I admit American Dad has grown on me (the only MacFarlane show where the jokes seem related to the story situations). MacFarlane unleashes the vulgar material he’s been holding back from TV, which makes for some laughs. The obviously stoned guys sitting in front of me thought the movie was hilarious, even during quiet moments where nothing was going on. I’m disappointed that a MacFarlane movie is pretty much exactly as I would have suspected, essentially a MacFarlane TV show blown up to a bigger screen. The jokes here are so limited, mostly deriving from Ted the teddy bear just doing things a teddy bear normally doesn’t. I wish the comedy were more developed, more nuanced, more concerned with doing something other than shock. The most shocking aspect of Ted is how utterly forgettable the whole enterprise is even with a magical talking teddy bear. 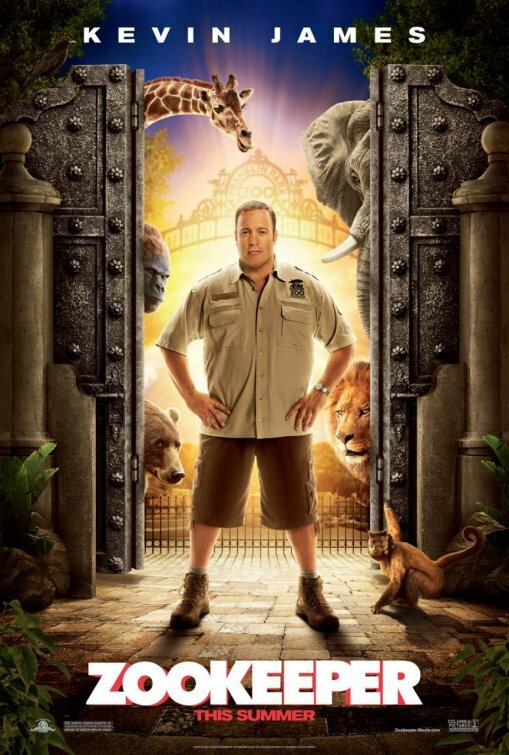 A lamebrain comedy with a horrible, repulsive romance where we watch a sweet, hapless zookeeper (Kevin James) romance a shallow woman (Leslie Bibb) who dumped him years ago and wants him to change, despite the fact that he’s great at his job, loves what he does, an the animals love the big lug as well, so much so that the animals all take turns giving the guy mating advice. That doesn’t sound like a bad premise for a comedy, though James takes the admission that animals could always talk a little too in stride. Their advice typically amounts to stuff like “puff out your chest” and “pee on this tree.” The potential of the premise is dashed when the comedy usually takes one of two routes: 1) James being clumsy, or, 2) James being fat. Rarely will The Zookeeper stray from these two troughs of canned laughs. There’s a bizarre montage of product placement for T.G.I. Friday’s where James takes a gorilla out to the restaurant. 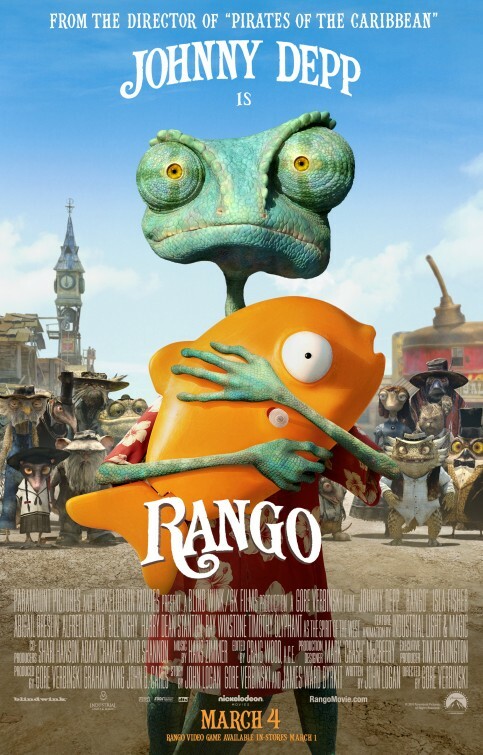 There’s Rosario Dawson looking splendid as the Obvious Love Interest Who Will Not Materialize Until James Has to Chase Her Down to Stop Her From Leaving. And there are poop jokes. Oh, the poop jokes. At one point there was a studio bidding war over this screenplay, which has five names attached to the finished product. I can’t imagine the end result was worth fighting over when it’s so predictable, flat-footed, and unfunny. And why have animals singing over the end credits? Surely that little dash of CGI was an extra few million dollars that could have been spent wiser, like purchasing a different script.